Korean barbecue restaurants have emerged as clear favorites among foodies, appearing as one of the food trends in the local dining scene last year. 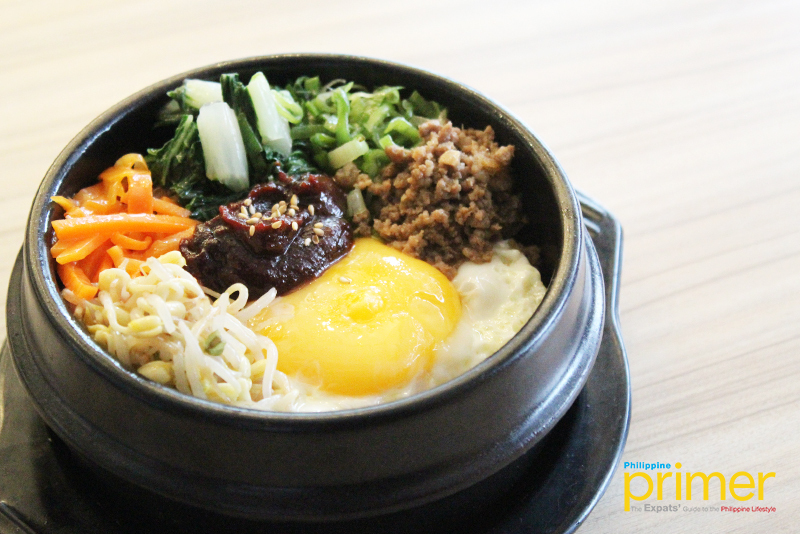 It is popular especially among truehearted fans of the famous grilled pork belly samgyeopsal. But little did we know that the Japanese take on this cooking style is also worth raving about. 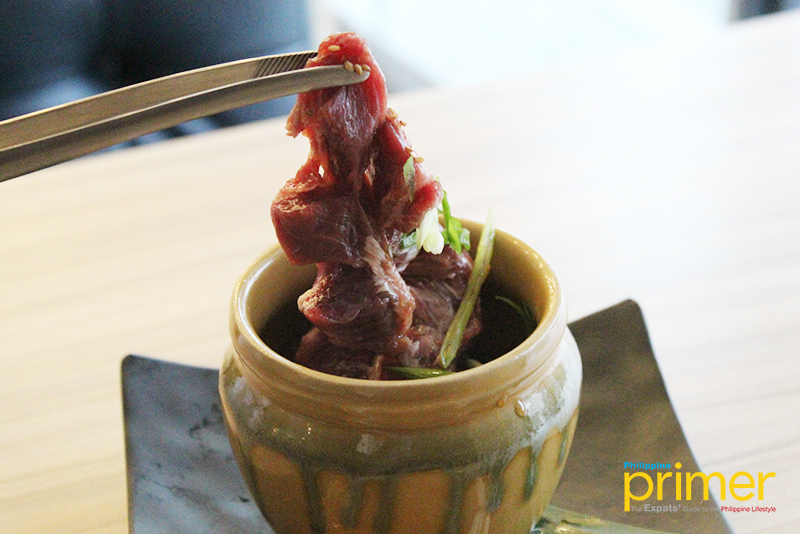 Yakiniku literally translates to grilled meat and usually refers to the Japanese grilled cuisine. The concept of a yakiniku restaurant is fairly similar to Korean barbecue as customers get to grill meat cut into mouthful slices on their own tables. 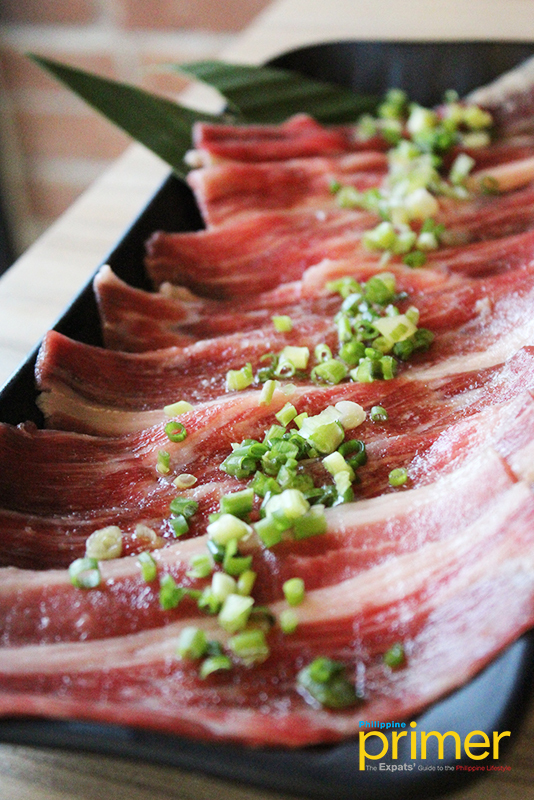 Despite only opening this month, Yakiniku Kenshin is not short of meat choices to offer. 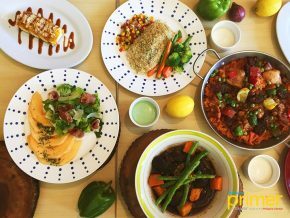 One is the Garlic Butter Beef (Php 259) which is a platter of thinly sliced beef ribs. Maximize your experience by dipping the grilled beef in the garlic butter sauce it comes with. 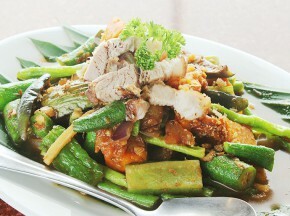 You may also pair it with an unlimited order of rice for only Php 129. 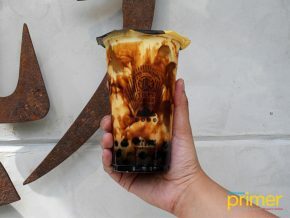 Another must-try is their Tsubo Zuke Calbi (Php 369). As the beef rib is marinated in a pot, the meat is not only tasty but is also tender. 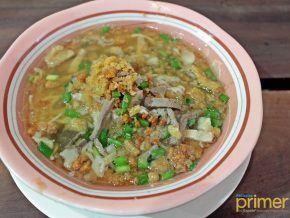 This is also great with rice. Fancy some raw meats? 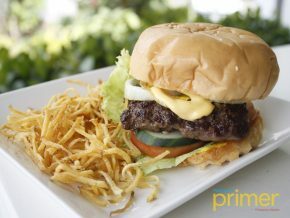 The Beef Yukke (Php 289) is the perfect fix for you. 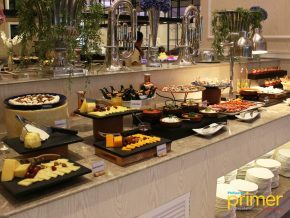 This one is not included in the menu, so better ask for it if you want to savor its unmistakable sweetness. 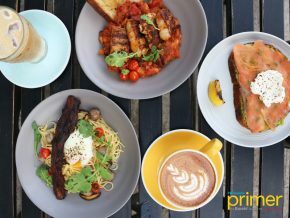 If you’re craving for more, then have a go at their Lunch Set Menu instead. 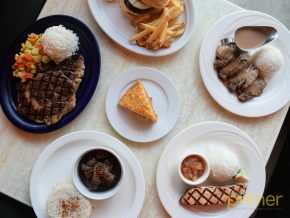 During our visit, we tried the Beef and Pork Set (Php 299) which includes slices of beef rib and pork belly. 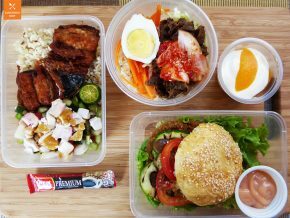 This set is sure to satisfy your lunch cravings. 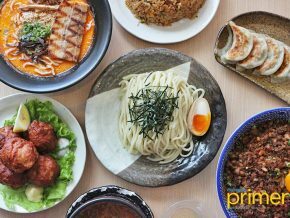 Other lunch sets include the Beef and Chicken Set (Php 299) which has sliced beef rib and chicken thigh; the Chicken and Pork Set (Php 279) which has chicken thigh and pork belly; and the Deluxe Yakiniku Set (Php 389) which includes beef, chicken, pork, and Japanese sausage. 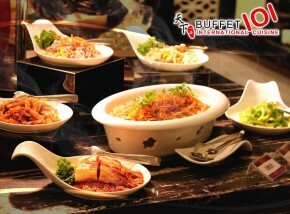 All sets are served with side dishes, rice, and different sauces. 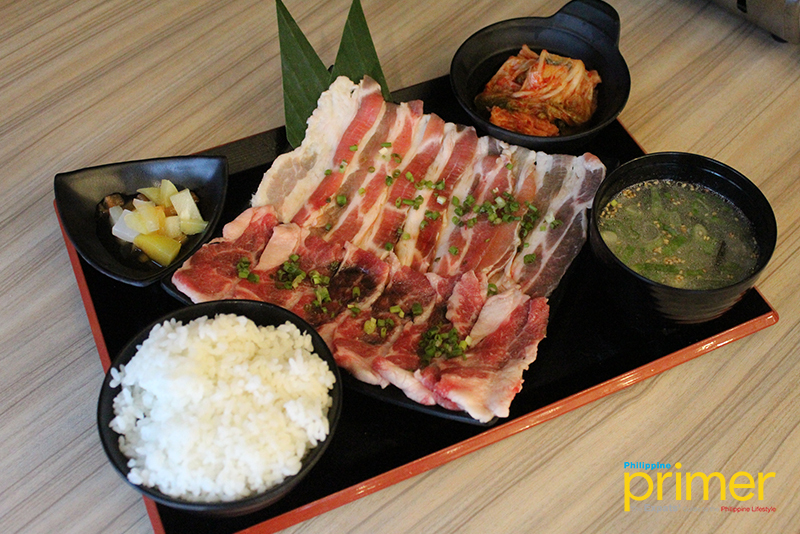 Yakiniku Kenshin also gives you their Bibimpa (Php 259) for you to experience both Japanese and Korean cuisine. 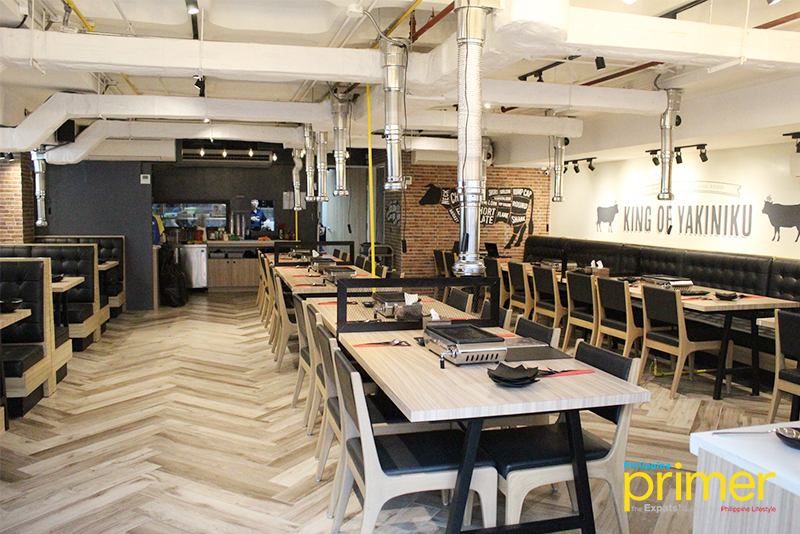 Aside from its unique meat selection, what makes this newly opened yakiniku restaurant a must-visit is its sauce bar, where you get to enjoy unlimited sauces and toppings that will surely enhance the unique flavors of your meat. 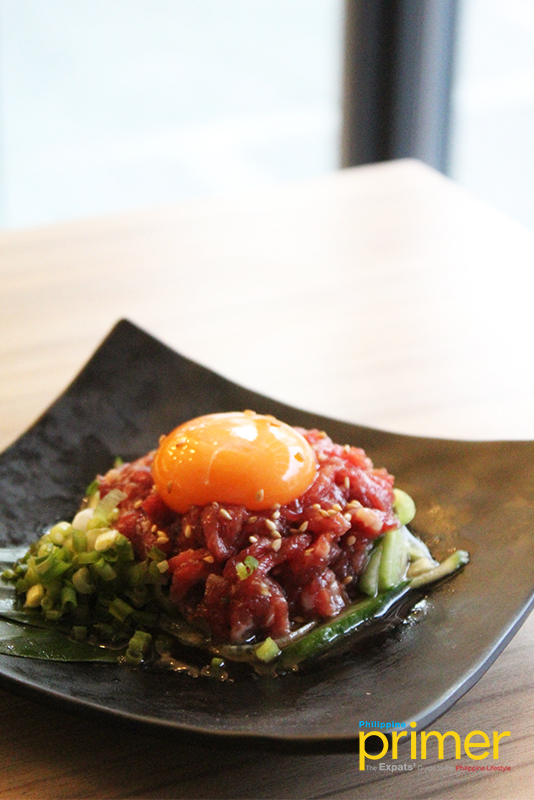 Sporting a simple yet inviting interior, Yakiniku Kenshin is ideal for group meetings and special gatherings. 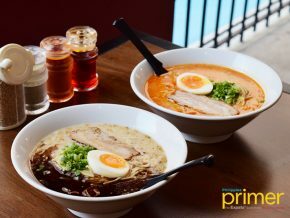 This new Japanese grill restaurant in town guarantees barbecue lovers a one-of-a-kind experience. Alcoholic beverages like Sapporo beers, Kirin Ichiban, Sake cocktails, Umeshu, and Shochu are also offered here. 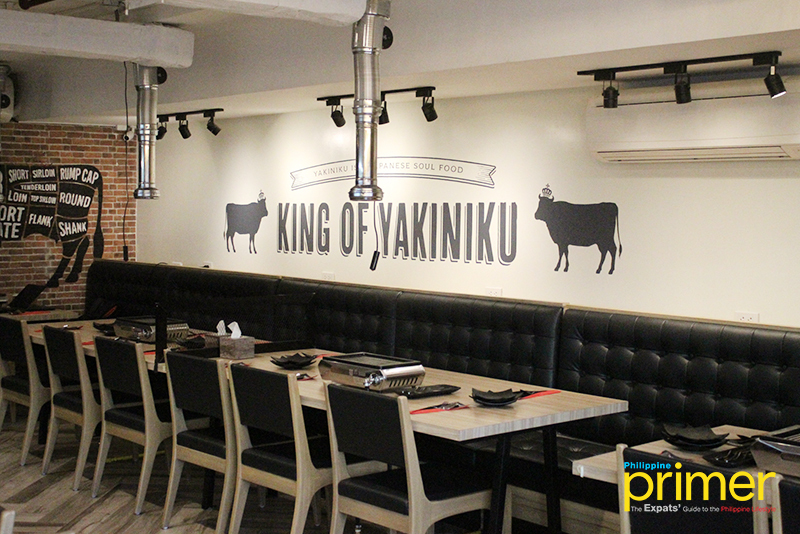 Visit Yakiniku Kenshin Restaurant at U-G2 Makati Central Square Mall, Don Chino Roces Cor Fernando St. Pio Del Pilar, Makati City. 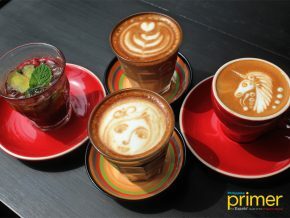 It opens from 11:00 a.m. to 2:00 a.m. For more information, visit their Facebook page or call 0917-103-5727. 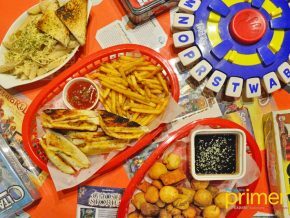 Sobre Mesa in Shangri-la Plaza Mall offers a stellar dining experience paired with the undying '90s vibe.